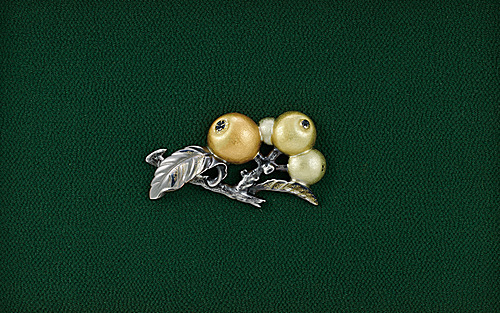 Metal fitting in shape of loquat. Obi sash clip in shape of persimmons. 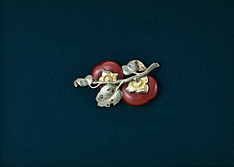 Ornamental fitting in shape of grapes.